We have been working to make the NYCSHS website more user friendly and more useful to members. We have spent a couple of months setting it up and are pretty happy with how it looks and works. It is much cleaner and easier to use than before and uses new technology that will allow us to do more for you. Take a few minutes to acquaint yourself with how it works, and we are sure you will be surprised and happy with what we have done. All of the old features are still there for you, and we are adding new things as well. Note that you are now able to see all of the news by simply scrolling down on the front page. You can still find all of the archived information and reach the “Store of the Future” for purchasing those great things the Society has to offer. You will notice that we now have dropdown menus to take you where you want to go. On the right side of the front page you will find “Recent Topics” and “Archives” that allow you to find the information or you can go down to “Categories” to search for information by category. You can also simply scroll down the front page to view all of the posting on the site. Each one has a short introduction on that page, but you can retrieve the whole article by clicking on “Continue reading—–“. Look for even more new things on the site over the next several months. 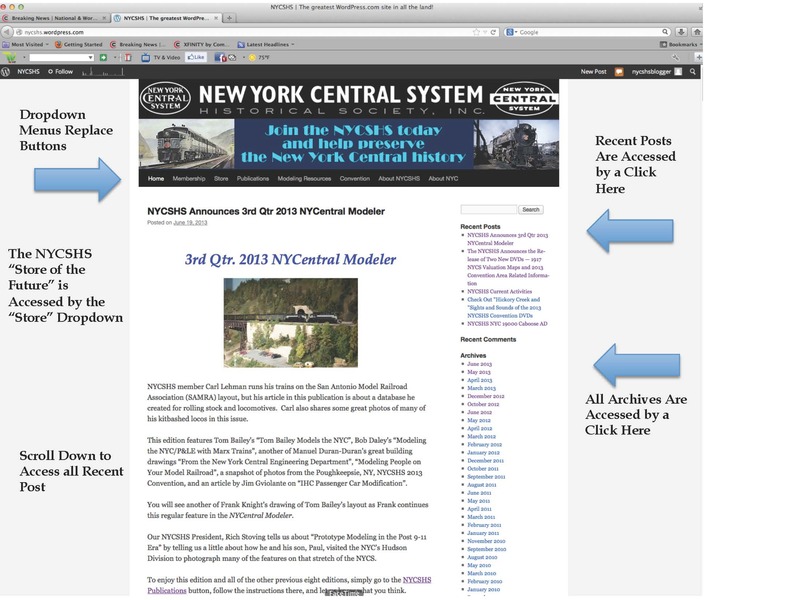 All of this is to provide you with more information and resources about the history of the NYCS and for modeling it as well.